One day after Monday’s announcement by the United States and Russia of agreement on a partial “cessation of hostilities” in Syria, there were mounting indications that Washington is preparing a major military escalation of its drive to topple the Russian-backed government of Bashar al-Assad and install a puppet regime. The so-called “Plan B” under intensive discussion at the White House runs the risk of triggering a direct military confrontation with Russian forces operating in Syria in support of the Assad regime, raising the specter of war between the world’s major nuclear powers. These plans are being prepared behind the backs of the American people. They are being blacked out of the presidential campaigns of the candidates of both the Republican and Democratic parties. Later on Monday, President Barack Obama and Russian President Vladimir Putin signed off on the deal in a telephone call. The ceasefire plan was subsequently accepted, with various caveats and conditions attached, by the Syrian government, the US- and Saudi-backed negotiating body for the Western-backed anti-Assad opposition, the High Negotiating Council, and Turkey. The plan, supposedly in pursuit of a war being waged against ISIS by both the US-led camp and the Russian-Iranian-Assad camp, seeks to obscure the reality that Washington and Moscow are pursuing opposite aims. For the US, the “war against ISIS “ is largely a cover for a war for regime change against Assad and his Russian and Iranian allies, while Moscow and Tehran are intervening to prop up their only Middle Eastern Arab ally. The ceasefire agreement calls for talks to begin on a “political transition” in Syria, which the US and allies such as Saudi Arabia, Qatar and Turkey insist must end with the removal of Assad. The other central concern of Turkey, which is shelling US-backed Kurdish militia near the Turkish border in northwestern Syria, is to prevent the consolidation of a Kurdish political entity in the country. The US government and the establishment media are also concealing the fact that the only significant anti-Assad military forces on the ground in Syria are precisely ISIS and al-Nusra. The so-called “moderate rebels” who are being armed, financed and militarily supported by the CIA, the Saudis, the Turks, the Qataris and the Jordanians are either themselves Sunni Islamist jihadists, such as Ahrar al-Sham, are fighting alongside al-Nusra, or are militarily irrelevant. A major stumbling block in implementing the ceasefire deal is the fact that continued bombing by Russia and Assad of al-Nusra, particularly in Aleppo province, which is permitted under the agreement, means also targeting the US-backed groups that are interwoven with the Al Qaeda group. The Obama administration has pushed for a truce largely to buy time and prevent a complete military rout of al-Nusra and its allied “rebels” in their stronghold of Aleppo, which is under siege by Syrian government forces backed by Russian airstrikes. Interviewed Tuesday by Al Jazeera America, a Syrian opposition spokesman specifically criticized the ceasefire statement for excluding al-Nusra from its protection. Washington is also seeking to prevent Kurdish forces from sealing off “rebel” supply lines from Turkey. And it wants to block Turkey, a NATO member state, from sending troops into Syria against the Kurds, something that could quickly trigger a military confrontation with Russian forces, potentially pulling NATO into a war against Russia. As far as Washington is concerned, the truce is mainly a maneuver to enable it to prepare a major escalation of its war for regime change at a later point, perhaps after the US elections. While Putin hailed the agreement as a major breakthrough on the road to peace in Syria, statements from the US side were more low-key, and officials both inside and outside the Obama administration made clear their skepticism that a truce would hold. “This is going to be difficult to implement,” said White House press secretary Josh Earnest. Kerry, testifying Tuesday before the Senate Foreign Relations Committee, gave no assurances that a ceasefire could actually be implemented and stressed that “There are certainly Plan B options being considered.” He also said it would be a mistake to underestimate the readiness of the Obama administration to take punitive action against Russia. The article, headlined “Pentagon, CIA Chiefs Don’t Think Russia Will Abide by Syria Cease-Fire,” cites a “senior administration official” as saying that Obama’s cabinet is split over US policy in Syria, with Defense Secretary Carter, Joint Chiefs of Staff Chairman Gen. Joseph Dunford and CIA Director John Brennan calling in White House meetings for a major military escalation against Assad and his Russian backers. 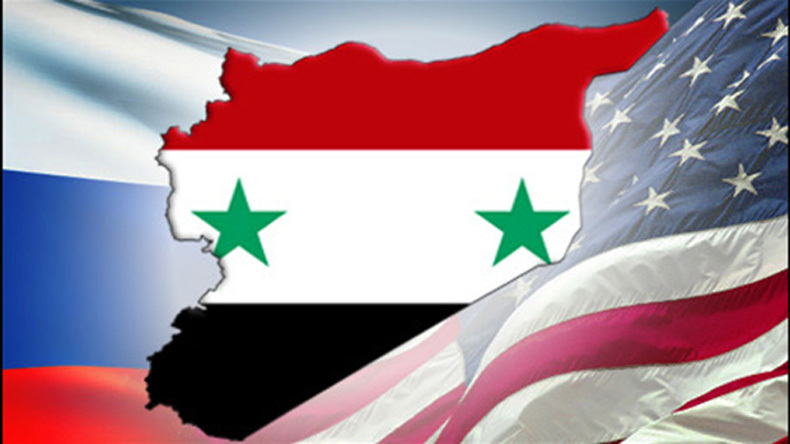 US imperialism has instigated and inflamed a civil war to topple the pro-Russian and pro-Iranian regime in Syria as part of its drive to establish hegemony over the oil-rich Middle East and weaken Russia and Iran. That war, nearing its sixth year, has cost an estimated 470,000 Syrian lives, driven over 5 million Syrians into exile, turned millions more into displaced people within the country, and destroyed the country’s social and physical infrastructure. Now Washington is preparing an escalation that risks igniting a third world war.